Promotional tote bags are a relative newcomer to the business marketing arena, simply on the basis that it is only in recent years that mainstream society has emphatically embraced the whole concept of tote bags. We as a society are more ecologically minded than ever before, and are more keen to reuse bags than to simply accept yet more disposable plastic bags from a store. The question is now “Do you need a bag?” as opposed to “Would you like a bag?” The overwhelming feeling of guilt I now get when I walk into a store and have forgotten to bring my own bags with me is simply unbelievable! Tote bags are therefore an extremely topical promotional item, and one which is very much in demand. Why Consider Promotional Tote Bags? 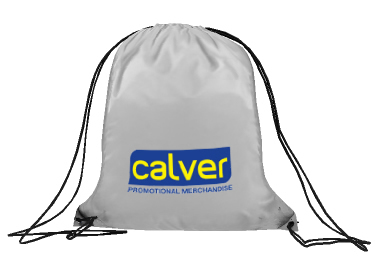 Promotional tote bags are a superbly versatile promotional item. Given the available advertising space on a tote bag, it is an ideal opportunity for any business to make a name for themselves, creating an impact with a fabulous new logo, a catchy slogan or a message they wish to project. On the basis that we are more inclined to be using tote bags as a whole whilst out shopping, or indeed in the carrying of our essentials to the workplace each and every single day, the potential promotional reach from any one tote bag is therefore quite significant. This is made even more so by the fact that tote bags are normally hung from the body where they are readily and easily seen by everyone and anyone. Imagine the potential reach that has? It is almost infinite! Tote bags have mass appeal, and especially with the ladies of this world! I, on the other hand, am a huge fan of the sturdier versions for the weekly grocery shop. Thinking outside the box your business could benefit from the use of different promotional tote bags in the form of shoe bags for executive males, backpacks and/or duffle bags for those sporty individuals and indeed children, cosmetic bags which are always handy for women and lunch bags for pretty much everyone and anyone! Having a few different types of these promotional bags will ensure that your business can effectively meet the needs of any of your customers, thereby creating a long lasting favourable impression. Result! 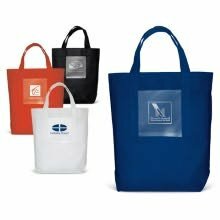 Tote bags enjoy the luxury of being able to be used as a commonplace promotional item, being able to be handed out by a business on a day to day basis. For example a retail business could place a customer’s shopping inside the specially designed tote bag. They can of course also be used for special events, and especially so if a poignant image or message is emblazoned across the said item. Just remember, however, that all images and messages are a representation of the business, so ensure that you are projecting the right image and/or message with your artistic tendencies! The potential to make a visual impact, thereby establishing and/or enhancing the business brand. Quality control measures to be in place to ensure that every item has high quality print. Promotional tote bags are fabulous for today’s caring society, where we are all keen to recycle. It would be a significant advantage for any business to effectively capitalize on such an in demand item. Make your mark today, and please let contact us if you have further questions.